June Dudley enjoys painting a variety of subjects, but she is very fond of painting children. 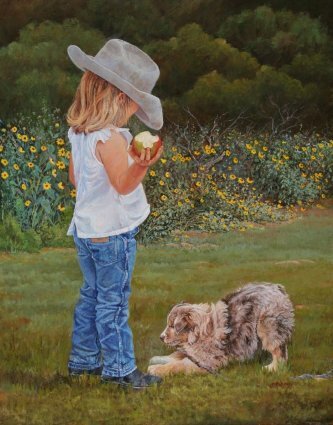 In this trademark image, the artist has captured all the fun a little girl and her dog can have together. These two could play all day in their beautiful surroundings. 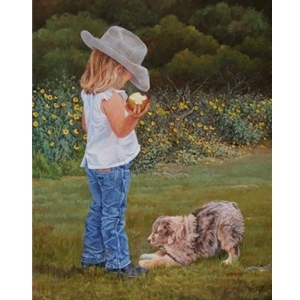 As the little girl enjoys her apple, her energetic puppy offers a branch to entice her to play. "Double Trouble" has never been cuter than this adorable pair.